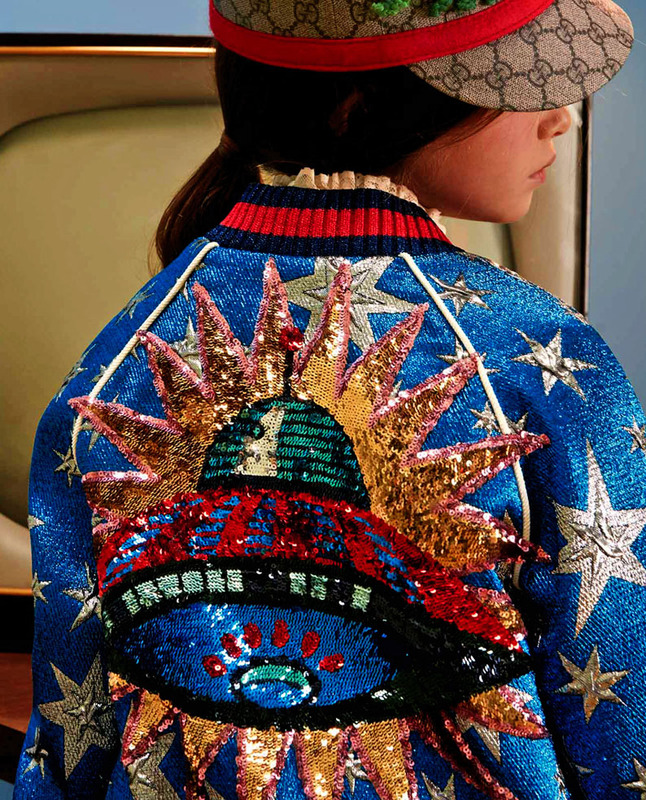 Drop into the autumn with Gucci's latest Fall Winter 2017 collection, a whimsical story about Alchemist's Garden embellished with metal moths and lion heads. "It's a big trip in my personal garden which is mine but also Gucci's, and it expresses all the ideas of me, all of my obsessions." 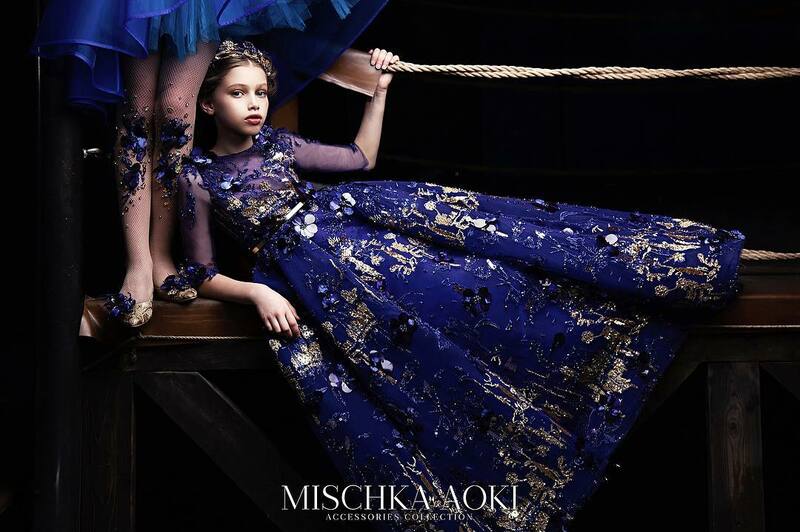 Make her feel like the most important girl in the world, in this exquisite tulle party dress from Gucci. 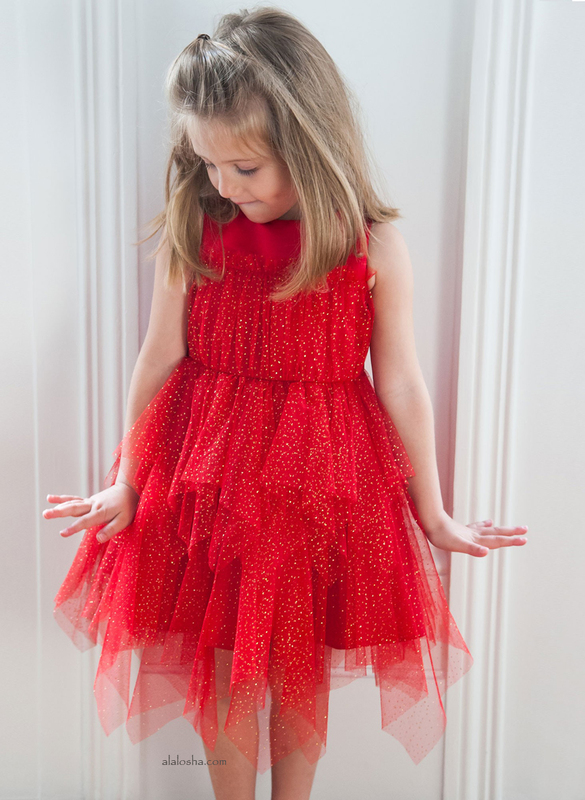 She can dress just like mummy, in this mini-me design, fashioned in light apricot tulle. 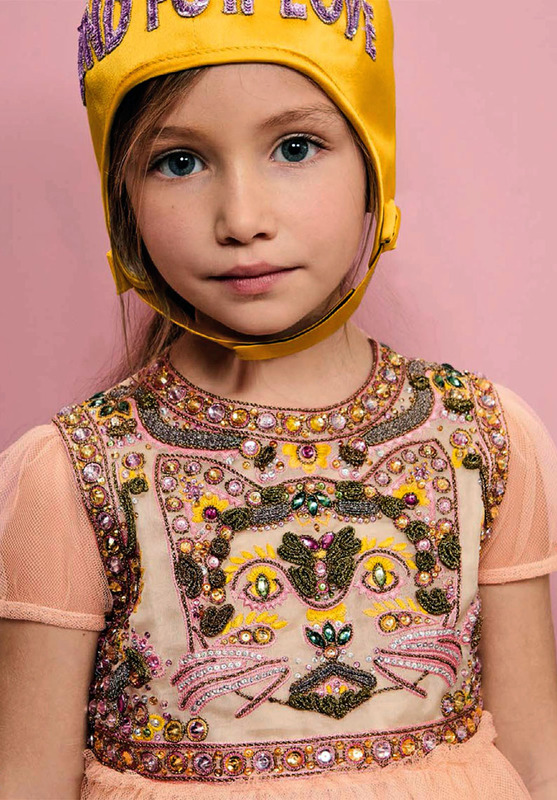 The bodice is hand-embroidered with crystals in the shape of a cat face, with metallic thread detailing. There is a cotton voile lining, back zipper and is Italian made. Brilliantly adapted from the pre-fall 2017 womenswear version, this brightly coloured Mini-me sweater dress from Gucci captures the fashion house's creative spirit. 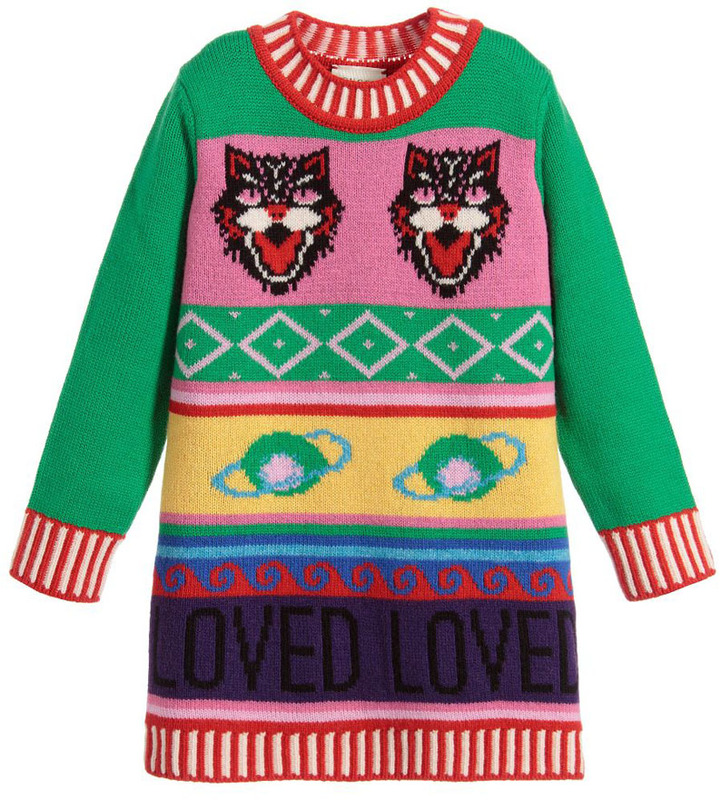 The garment is beautifully patterned with intarsia knitted motifs of the distinctive 'angry cat' and the planet Saturn, and also includes the word 'Loved' in reference to the creative director's romantic vision.